…it’s just soooo good on so many other cakes! 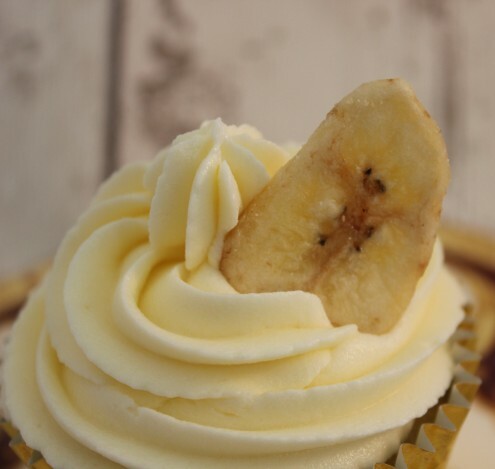 Think about it, how good would this creamy Banana Frosting be on a Chocolate Cupcake? I also happen to have a few other recipes which I know that this would be perfect with so, in the interest of future-proofing, here is the recipe. Begin by beating the butter until it is creamy and soft. This is best done with room temperature butter, which will take far less time to whip up. Add half of your icing sugar and beat until combined. A tea-towel draped over your mixer bowl will prevent an icing sugar explosion!